Glycoprotein gE is absent in virus particles of Rispoval IBR-Marker Inactivated. Therefore the vaccine virus, and the antibodies against it, can be clearly differentiated from field strains, or antibodies against the latter by serological methods. The product induces antibodies in vaccinated cattle, which are detectable in serum neutralizing tests and in conventional ELISA tests. 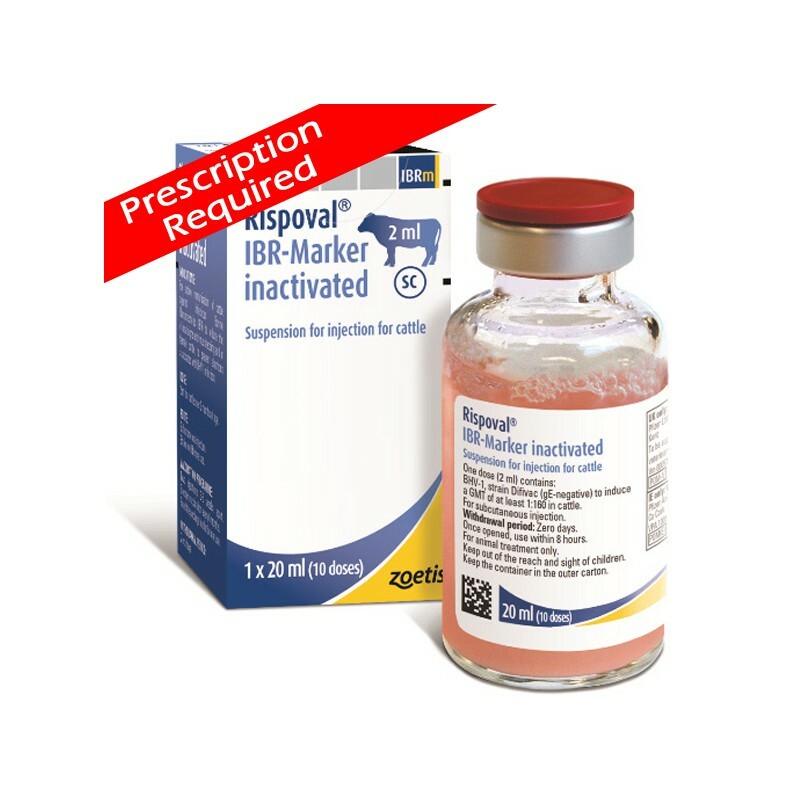 With specific gE test kits these antibodies can be differentiated from those of field virus infected animals or animals infected with conventional IBR vaccines. The vaccine induces immunity in cattle against clinical respiratory symptoms caused by the IBR virus. Following infection the intensity of clinical symptoms as well as the titre and duration of virus shedding are significantly reduced. As with other vaccines, vaccination may not completely prevent but does reduce the risk of infection. Vaccination of the whole herd, including both infected and uninfected cattle, is recommended. 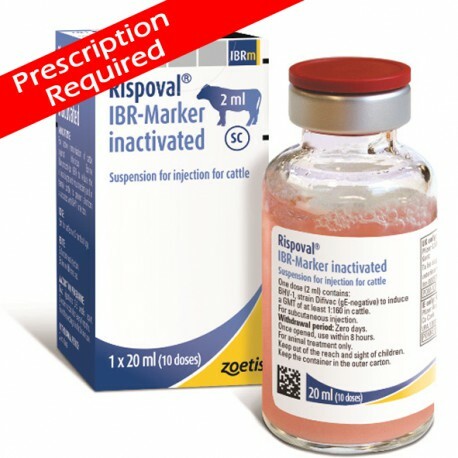 Following use of Rispoval IBR-Marker Inactivated the risk of infection, titre and duration of virus shedding are all reduced. The duration of a programme to achieve the status of a BoHV-1 free herd is dependent on the initial level of BoHV-1 infection in the herd and the sale or culling of remaining BoHV-1 positive animals.